This month’s NIH Research & Consulting (NIHR) Staff Feature is on Tiffany Nytes! Tiffany has more than 15 years of marketing and sales experience in the healthcare, IT and Human Resources fields. Why are you passionate about the Healthcare Industry? I really enjoy working in the healthcare field. It’s up and coming and ever-changing. I enjoy communicating the latest and greatest products, services, and advancements in medical technology on behalf of our clients. It’s truly rewarding to be involved in marketing in this industry. 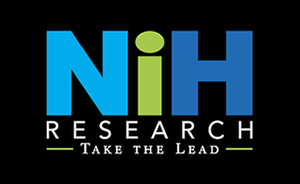 What do you enjoy most about working with NIH Research & Consulting clients? Our clients are really great to work with and experts in the field. We work with prominent medical technology companies that provide remarkable products and services. It’s always interesting to learn and market the latest advancements in the field. Our clients are committed to success and always get us the information we need for their campaigns. They have a true grasp on the value that we bring to advance their marketing and outreach efforts. I love the team at NIHR. Everyone is extremely educated and has a medical and/or technology background. We are really a cut-above and I can say I’m proud to be working with this company. We’re very team oriented and bring great synergies to the advancement of our campaigns and client success. I’m pretty good at disarming people over the phone. My approach is pretty subtle and people are more receptive to that. I like communicating with hospital C-level employees about the product and determining how it can fit into their processes and systems. For me it’s not cold-calling, it’s a natural conversation. I’m also passionate about the industry and I think that comes through in my calls. I exceed expectations on campaigns, and like I said, our team works really well together which is why our clients love us! We greatly enhance their ROI. We’re really proud to receive a lot of repeat clients due to our success. I ran 4 marathons over the last few years and my goal is to run more. I love running! Congratulations to Tiffany Nytes from all of her colleagues at NIH Research & Consulting on Staff Feature of the Month!